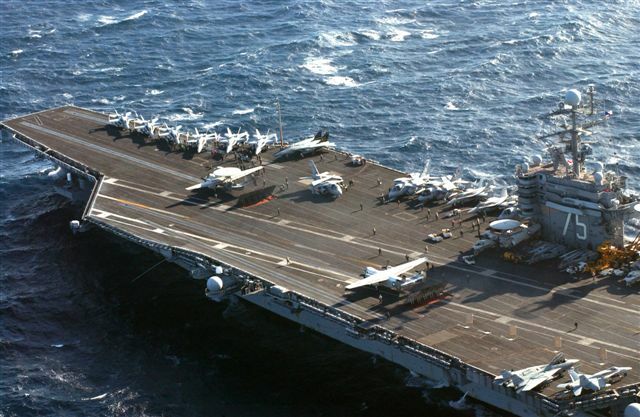 Here’s another great shot of the USS Harry S. Truman. A big thank you to Navy Specialist Sha’ron Evans, YN2(VS22) and to all of those serving in the armed forces. 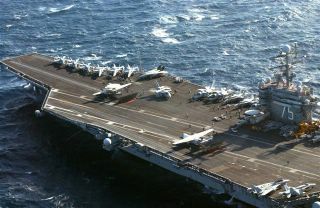 This picture, shot from one of the navy planes, shows the Truman at sea. Thank you Sha’ron, and thank you all for serving so bravely for our country at this time. Your sacrifices are making a difference.